Testa Rossa mare Ortensia captured the G1 Nunthorpe Stakes at York’s Ebor meeting only hours before Congrats champion Turbulent Descent completed a Group 1 double in the Ballerina Stakes at Saratoga. Testa Rossa mare Ortensia chimed in with a late charge to win the G1 Nunthorpe Stakes at York on Friday. It capped an often frustrating campaign for the Australian star who had been denied firm ground in G1 sprints at Royal Ascot and Newmarket in June and July. Ortensia was coming off a resounding victory in the G2 King George Stakes when she struck a good surface at Goodwood on August 3. Messara confirmed Ortensia will to head to the G1 Sprint Cup at Haydock on September 8 for which bookmakers have installed her a 4-1 favourite. She has also qualified for the $1 million Breeders’ Cup Turf Sprint at Santa Anita in November. Bred by Corowa based Len Rhodes, Ortensia was purchased for $50,000 at the 2007 Inglis Melbourne Premier Sale by Alistair Fraser, Emma Ridley and Annie Fraser. Testa Rossa’s flag-bearer has won 13 races in 34 starts for prizemoney of AUD 2.45 million. 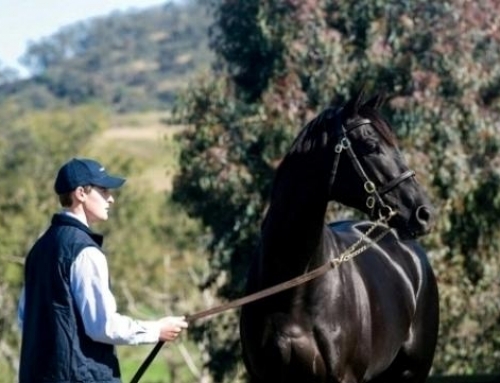 Testa Rossa (Perugino) will stand for a $33,000 (inc gst) service fee at Vinery in 2012. HOW MUCH FOR TESTA MARE’S? ORTENSIA’S BROTHER?